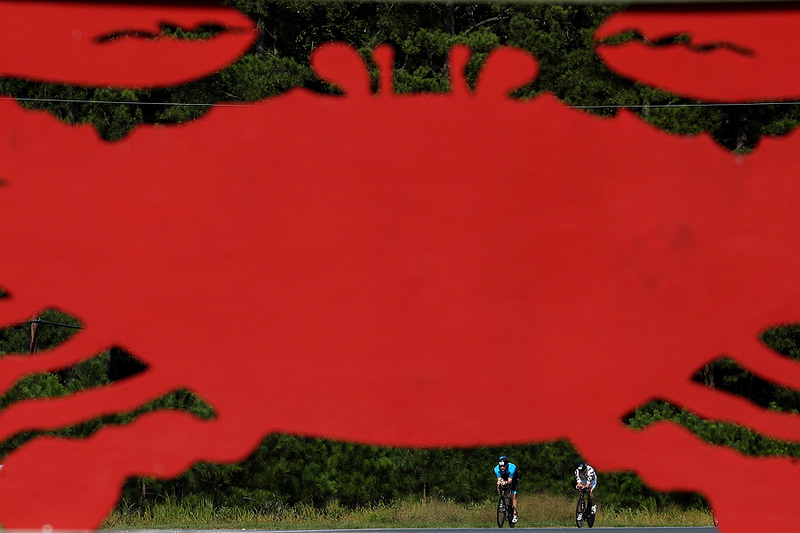 "Nicholas Grala from the United States leads another cyclist as they compete in the IRONMAN Maryland on September 29, 2018 in Cambridge, Maryland." Like life, sports photography is typically what you see is what you get. Thus meaning, there is usually not much time to doing any real planning in the day to day assignments. While major events and playoffs are a different monster, a typical assignment means showing up just a few hours before the competition starts. However, when you do get to scout and plan a day prior, it makes shooting and managing your time much easier. This is the case when photographing Ironman triathlons. Having the opportunity to document an event close to home I was able to drive the course prior to find images that would work. While some didn't line up once I get off of the motorcycle - others like the above did - which helped put a sense of place to the Maryland race.